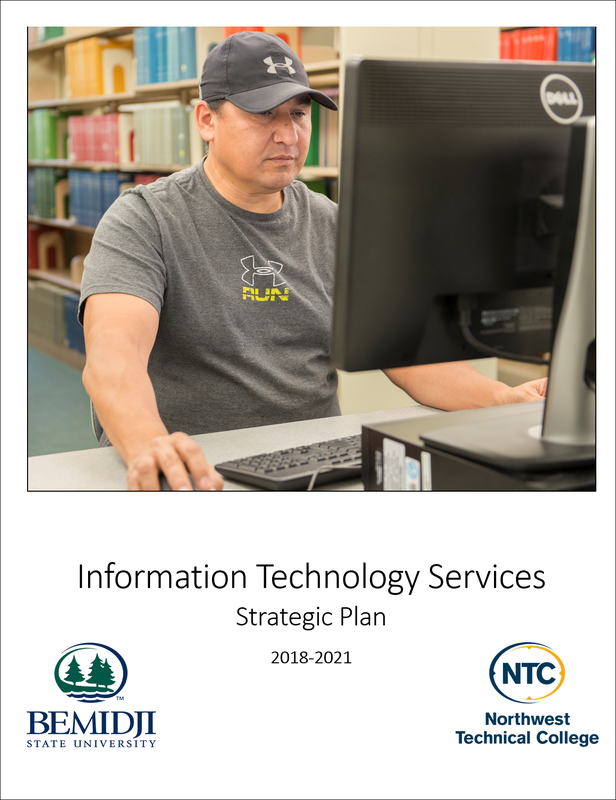 Between the Summer of 2017 and Spring 2018, BSU/NTC ITS Department developed a 3-year strategic plan. To provide Information Technology tools, support, and services that enhance educational and workplace experiences and values. We provide exceptional customer service, infrastructure reliability, efficient use of resources, and appropriate security oversight while engaging with our communities and partners. End-User Support: Provide exceptional service and support to our end users — students, faculty, and staff. Campus and Community Engagement: Engage and inform both campuses and the greater Bemidji community. Security: Ensure the secure use of IT resources. Infrastructure: Build and utilize an IT infrastructure that supports success. IT Team Development: Build and foster a cohesive and effective IT team. The complete plan can be found here.